Welcome to Vision Health Center, P.C.! Our practice has two locations to better serve both the Dubuque and Bellevue, IA area with a tradition of quality service and a friendly helpful staff. Drs Sloan and Smith takes great pride in offering every patient the absolute best in vision care--whether through fitting them with eyeglasses or contact lenses, diagnosing cataracts, glaucoma, and other eye diseases, or recommending LASIK and other eye surgery procedures. 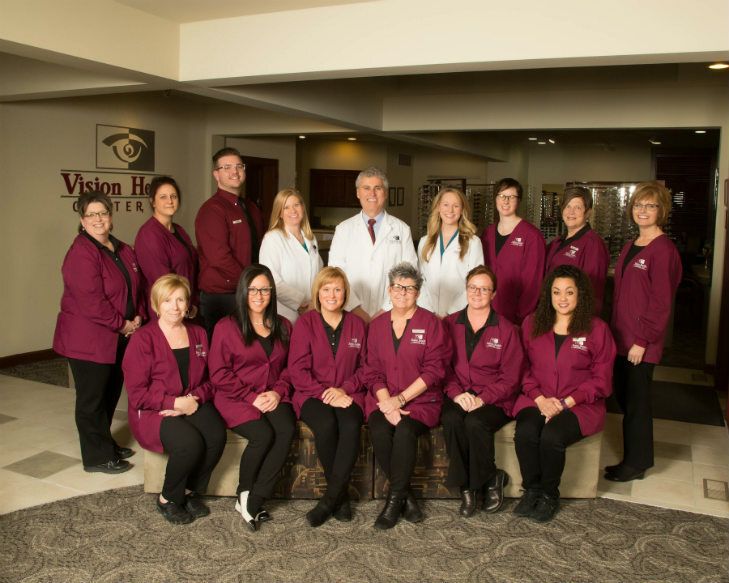 Built on the foundation of patient convenience and satisfaction, Vision Health Center, P.C. serves all of your family’s eye care needs under one roof. Come visit our modern facility and friendly doctors and staff! Thank you for choosing Vision Health Center, P.C. to handle your eye care needs! We invite you to experience the benefits of our practice as you explore your options for correcting and enhancing your vision. Call 563-556-EYES (3937) today or contact us by email to schedule your next appointment.